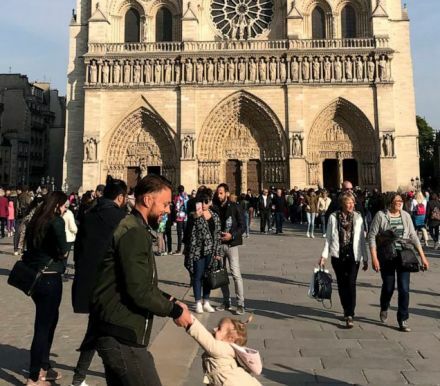 The father and daughter captured in a photograph in front of Notre Dame an hour before a massive fire erupted and destroyed parts of the building has been found. Windsor relayed that the father asked to remain anonymous in the wake of the tragedy. Windsor captured the sweet moment in front of the cathedral on Monday.